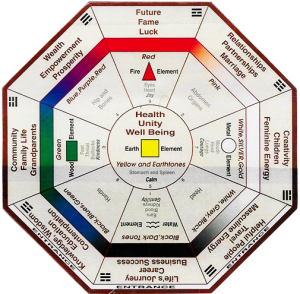 The Ba-gua, a Life Value Grid, is used as a tool to analyze the energy of any given space. According to Feng Shui, the good fortune of the inhabitants is significantly strengthened when the Bagua, has been properly mapped out and enhanced. This is an effective tool and may be used in a wide range of areas such as desk, rooms, gardens, condos, or office buildings. The results can be powerful! This course is specifically designed to introduce Feng Shui Principles for all students. The one day program simplifies the concepts and acquaints the student with the basic ingredients of this ancient art. Great for the beginner! Feng Shui correlates health, wealth, and happiness with how we decorate and design our home and work environments. Mary Dennis’ Fundamental Feng Shui class was wonderful. She was able to simplify the concept and explain the many elements Feng Shui entails. Such a worthwhile class, especially for the nature of my business. The Feng Shui Fundamental , Change Your Life, Change Your Space Workshop with Mary Dennis has such a can-do, common sense approach to creating the space in your living environment. She teaches the most appropriate placement of your belongings so that you feel harmony, balance, and comfort. What an empowering experience! I feel blessed by the opportunity to hear from Mary Dennis, as she is a motivating, inspiring, and extremely knowledgeable leader and innovator of interior design. Her designs and teachings incorporate spirituality, healing and healthy living.